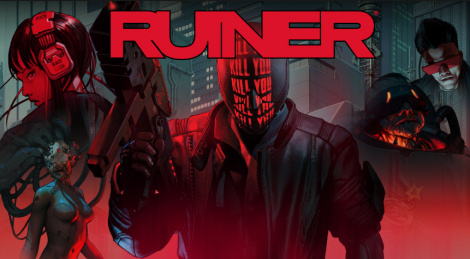 Brutal cyberpunk shooter RUINER is now available on PC, PS4 and Xbox One so here is the traditional launch trailer. Susumu Hirasawa did soundtrack? Wow. Probably just one track, gotta check it out. Edit: " Island Door - From Susumu Hirasawas solo album Aurora, released in 1994" nevermind, then.